Learn how to spot brain degeneration and stop it before it’s too late. Don’t waste another day wondering why your brain is not working. Learn what you can and should do about it. Why Isn’t My Brain Working? harnesses cutting-edge scientific research for safe, simple, and truly effective solutions to declining brain function. 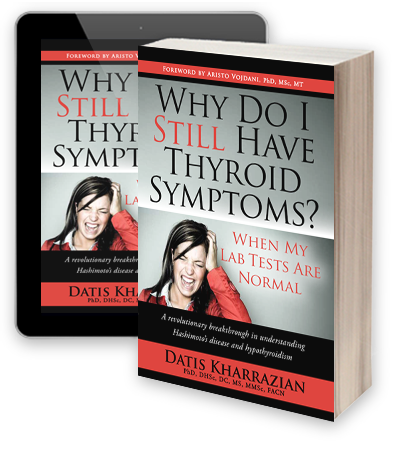 Author of Why Do I Still Have Thyroid Symptoms?, Datis Kharrazian, PhD, DHSc, DC, MS, MMSc, FACN, is a clinical research scientist, academic professor, and a functional medicine health care provider. 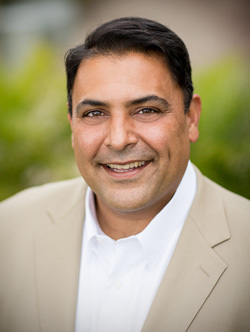 He specializes in developing evidence-based models to treat autoimmune, neurological, and unidentified chronic diseases using non-pharmaceutical applications such as diet, nutrition, and lifestyle medicine. His academic and clinical research has been featured in numerous documentaries and his clinical models of functional medicine are used by several academic institutions and thousands of health care providers throughout the world. Discover how chronic digestive problems may be a sign of brain dysfunction, and 3 ways (gargling, gagging, and singing) to bring your brain back online. 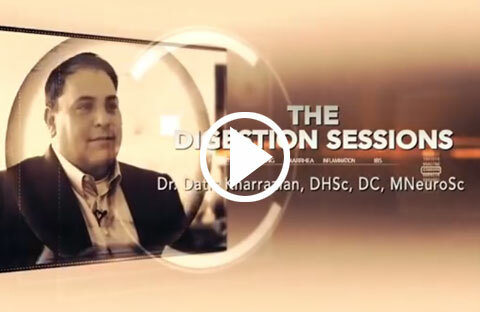 Join Sean Croxton of Underground Wellness and Dr. Datis Kharrazian for this 58 min video on the Gut–Brain Connection. For more interviews about the Brain, go to my Video Page or Audio Page. For more about the thyroid, go to my Thyroid Interview Page or to my Thyroid Book Website. Save Your Brain: The Six-Week Rescue Plan community. You’ll learn tools you’ll use lifelong and that could very well save you from a neurodegenerative disease such as Alzheimer’s or dementia. Please join Dr. Kharrazian and the course community. Patient stories help explain complex information through the experiences of real people. They also provide hope and optimism for those suffering from frightening brain health issues — optimism and positivity are important to improving brain health. These stories do not represent quick fixes or gimmicks, but rather years of exhaustive research, trial and error, and the patient’s own willingness to do the work. For more patient stories, go to the menu at top of page. Kate, 62, began having almost weekly six-hour episodes of dizziness and uncontrollable vomiting when she was 50 years old. She went to various doctors and nobody knew what was causing the episodes. Out of desperation her physicians put her on steroids and antibiotics, but they did not help. She stopped going out or driving for fear of the episodes, becoming a prisoner in her own home. Her entire life and future changed. This information is critical to all practicing health care professionals and their suffering patients, which often includes the doctors themselves. It is eye-opening, relevant to any disease or pathology, and immediately applicable for all your patients. I highly recommend it for any brain owner. 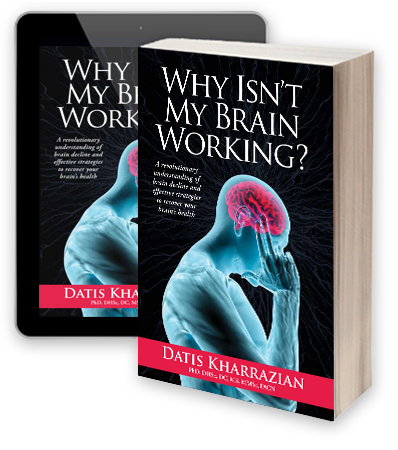 Dr. Kharrazian goes beyond a superficial treatment of neurotransmitters. Every new naturopath should look at his body of work. Dr. Kharrazian’s material is way beyond the stuff they teach in medical school. I think Dr. Kharrazian’s presentation is extraordinary. I had a head injury and have struggled all my life with low brain function. I am looking forward to applying this knowledge to myself and my practice. I love the way Dr. Kharrazian gets excited about teaching. Dr. Kharrazian masterfully pulls together functional neurology, endocrinology, nutrition, and physiology in a practical and immediately useable format. Fantastic! Nothing else like it—I learned so much and feel like I can look at patients from an entirely new level. Information regarding neurodegeneration is invaluable and gives us tools that no one else has. Dr. Kharrazian is the most brilliant man I have ever met. His ability to see and understand the complexity of the human body and the interrelationships between its systems is staggering. He is an exceptional educator and his concepts and lectures have completely changed the landscape of alternative healthcare and how complementary medicine is practiced. The insight into ways to improve quality of life in real, measurable predictable means is here. Let’s celebrate the success and health this will bring to us all. Datis Kharrazian is a true gift to health care and to humankind. The overall implications of this information are astounding. This affects all my clients!